Darrell D. Blatchley was born in the United States but spent his childhood in Thailand. When he was 15, the family moved to the Philippines, where his parents work helping poverty-stricken and displaced children in Davao City. Spending more than half of his life in the country and being married to a beautiful Filipina (Mary Gay, with whom he has two sons), he now considers the Philippines as his second home – next to the United States. For this reason, he opted to open the D’Bone Collector Museum, Inc. in Bucana, walking distance away from the city hall of Davao City. “I grew up in Davao and my kids are born here. So it wasn’t hard for me to decide to put the museum in this premier city of the south,” he says. Blatchley calls himself the bone collector. He has been featured in several national television programs like Balitang K, Jessica Soho Reports, and Born to be Wild. He started collecting different kinds of bones when he was still a young kid. 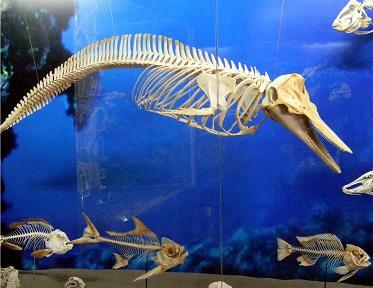 Those who get the chance of visiting the museum – which can compete one of those found at the Smithsonian Museum in Washington, D.C. – will be mesmerized to see a 41-foot or 12.4-meter long sperm whale (which has the largest species of toothed whale). 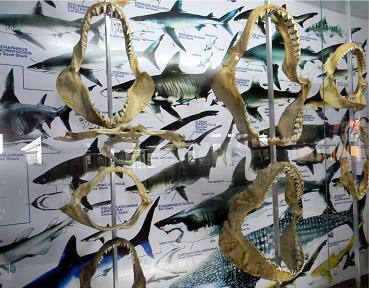 Bones and skeletons of snakes, tarsier, marine turtles, various fish species, different sizes of the mouths of sharks, and birds abound. 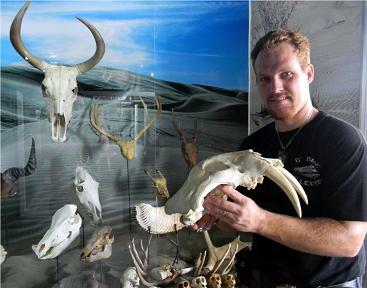 “Some of the bones we display, such as the Grizzly bear, are hard to come by. Some bones are almost impossible to find,” Blatchley informs. The bones and skeletons were collected by Blatchley himself. Some, however, were donated by individual and some organizations. In the near future, Blatchley plans to conduct workshops “to raise awareness of those endangered animals found in the Philippines.” He also wants to know what can be done to further enhance what is currently being done to protect them. “We would love to see programs set up to help breed animals such as the tamaraw to avoid seeing them go extinct in our lifetime,” he points out. Blatchley further explains: “The bones we are displaying at our museum are acquired legally. In fact, some bones were collected even before laws were put in place. We do not promote killing animals for the sakes of getting the bones. There are laws in the Philippines that protect the animals and we support those laws. The D’Bone Collector Museum, Inc. would sort of be his legacy to his children and to the Filipino people. “So many people want to leave this world with something to be remembered by,” he says, adding that the museum “would be something I would be proud of” as a legacy.